With Rob and Hurf both away, it was down to me and Steve P to arrange this weeks match and I was hoping to get us all down the lower end after last week when everybody at Coxes struggled. Also we had the first few frosts in the week and the river desperately needed some rain. I woke up nice and early and it looked like we’d had some rain overnight, I arrived at the bowling club and there was a slightly depleted turnout this week which although a shame, made deciding on pegs a lot easier! I put a couple of pegs at Redbridge (110 and 120) with the rest at Isle Brewers and to be honest I didn’t really mind where I drew although all week I’d been dreaming about peg 110 which has been fishing really well and as I’ve only ever drawn it once, I’d love another crack at it. For several of the pegs, I gave people a couple of options as well, so hopefully we’d be in for a good day. I announced the draw and as people started delving into the bucket, I couldn’t hear anybody mentioning 110 and with just two balls left, it still hadn’t come out. There was just Bill and me left to draw so he went in, leaving me with the last ball in the bucket, was it the one I wanted? Was it fate that I’d end up on the peg I’ve been fantasising about all week, umm……nope, as I opened my fingers I could see I’d drawn peg 129 although I did also have the choice of 128a which has been doing well although people keep losing chub in there. Bill ended up on my dream peg and I fancied him to win from there today. Driving down to Isle Brewers there was loads of water about and it looked like they’d had a fair bit of rain which would hopefully put some much needed colour in the river. I parked up and took my kit to 128a, it looked gorgeous and I really fancied it so decided against going to look at 129, Adie Bishop was on 128 again and as I wandered up to have a quick look, there were loads of small fish topping and I thought he’d be in for a good day. It took me ages to set up and none of my rigs were really suitable, they were either too deep or not deep enough and I still wasn’t quite ready when the start time arrived, I ended up using a 1 gram Drennan Tipo but if I’m honest there was way too much line between the float and the pole tip. 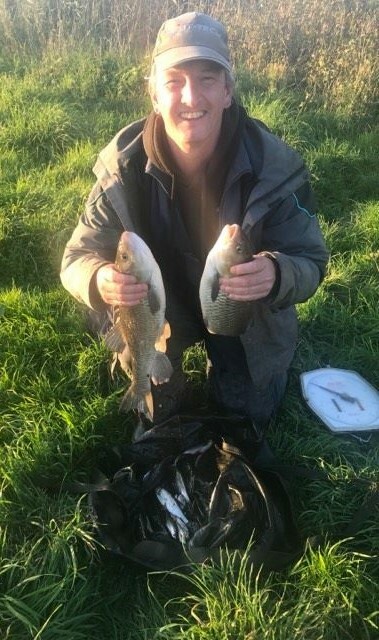 The main flow was under my feet so I started there and the rig was long enough to fish three sections to hand, I put double red maggot on the hook and fully expected to catch small fish straight away, I had a tiny minnow to avoid the blank but also snagged bottom a couple of times so buried the hook in a caster and had a really positive bite but a miniature gudgeon wasn’t the result I’d hoped for. A small roach followed but it certainly wasn’t fast or furious. 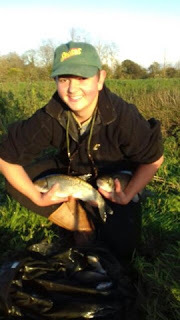 Although not bagging, I’d seen Adie catching a couple of nice roach so I stuck a couple more sections on and went further across where I’d also been feeding some casters and Bait-Tech Super Seed hemp, another good bite but this time some elastic came out and I swung in a nice 4oz roach. Back to the same spot and the float just sat there, I tried tight against the far bank cover and the float sailed away, a positive strike saw another minnow come flying out of the water. Back to three sections fishing in the flow and I had a small dace but I just couldn’t catch two fish in one place. With two hours gone and less than a pound in the net, I shouted up to ask how Adie was doing and he said he was still getting the odd fish and probably had 3lb, I was starting to think I should have fished 129. I knew I needed chub if I was going to do any good now so started fishing as tight as I could to the far bank and upped the feed. 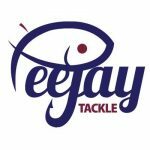 I had a small chublet and then next put in, the float slid along the surface before submerging and this time it was a proper fish, I shipped back and the fish was just plodding around in the middle of the peg when all of a sudden the line went slack! I was sure the hook had pulled out but as I swung the rig in, the hooklength had gone and I really don’t know what happened there. 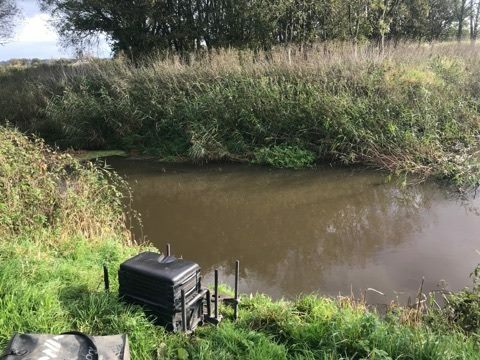 I went back out and tried getting the rig as tight as possible to the far bank cover but it was proving difficult due to the long line between float and pole tip and you can probably guess what’s coming next, yep, the rig got caught round an overhanging reed and I ended up losing the lot! I was now seriously hacked off and not for the first time this season, I didn’t have a suitable spare rig, will I ever learn? I rooted around in my box and found a Drennan 0.75 gram Trio which had been in there for ages and I wasn’t even sure what hooklength was on it but did I change it?, did I heck and I was just asking for even more trouble. Back across against the cover and I was getting the odd indication and had another gudgeon but that lost fish was playing on my mind, then the float buried and the strike was met with solid resistance, I threw the pole back and once again, a big fish was plodding around in the middle of the peg, it didn’t really give me any grief and thankfully the hooklength stayed intact and I slid the net under a lovely chub of 3lb plus. My next bite was a little chublet but I still felt there was another big chub or two to be had as Fieldy had landed one and lost three a few weeks back. 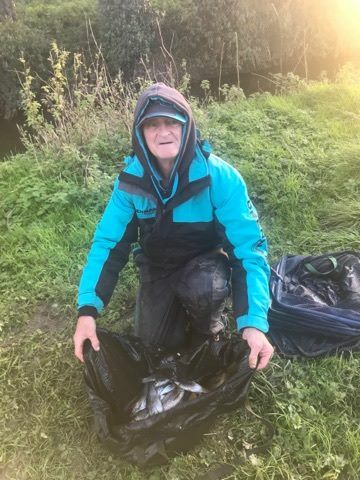 Adie asked how I was getting on, I told him and he replied he was still getting the odd fish, he also said he’d spoken to Bill on 110 who’d had two chub and some smaller fish. Then another really good bite saw me attached to another lump and again it was pretty well behaved and I added another 3lb to the keepnet. 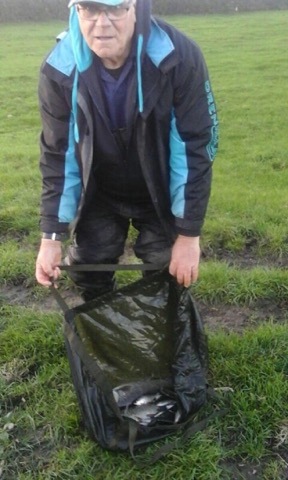 With half an hour left, I really thought I might get another one but it didn’t happen and the last action of the match for me was hooking another piece of crap on the far bank and this time I got the rig back although it was trashed! Adie was admitting to 7lb which I thought would be a little more and I fancied Bill would probably find a couple more and as I thought I had 6-7lb, I really needed that other chub. I took my kit back to the car and asked Steve P on 126 how he’d got on, he said he’d really struggled and only had, in his words, ’72 pairs of eyeballs’, as he had the scales I suggested we weigh him first but when he said we’d come back to his peg, my suspicions were raised somewhat and I thought he might have done better than he was letting on. 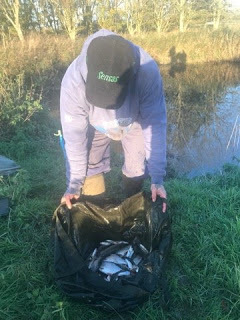 We got to Adie’s peg and he had a nice net of fish that went 8lb 8oz and he’s normally pretty close with his estimates, then it was my turn and it was closer than I thought but I still fell short with 7lb 15oz. Then we walked up to Mr Parker and when he pulled his net out, far from having ‘eyeballs’ he had some quality roach and it was going to be very close. The needle pulled round and settled on 7lb 10oz – phew, so I took a pound off him although he still leads 2-1 in the series. The others wandered down from above the bridge and Rich S had weighed 6lb 8oz on 125, Stu had 5lb 8oz from 123 and Fieldy had 2lb 4oz from 124 so I was second in my section again. 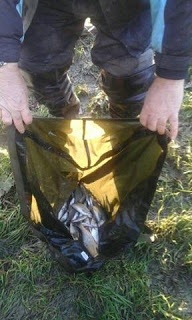 Steve had 7lb 10oz of ‘eyeballs’! 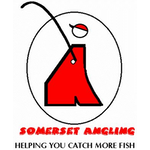 Back at the results and Bill had the top weight at Redbridge with 8lb 10oz followed by Karl who had 4lb 8oz from 120 so I ended up in the third place overall and picked up £20 but that was an opportunity missed today and rig making is on the agenda for next Saturday! Although the river didn’t fish as well as expected it was still a very close frame with just a pound separating the top four places. Thanks to Karl* and Stuart Aplin** for the photos.